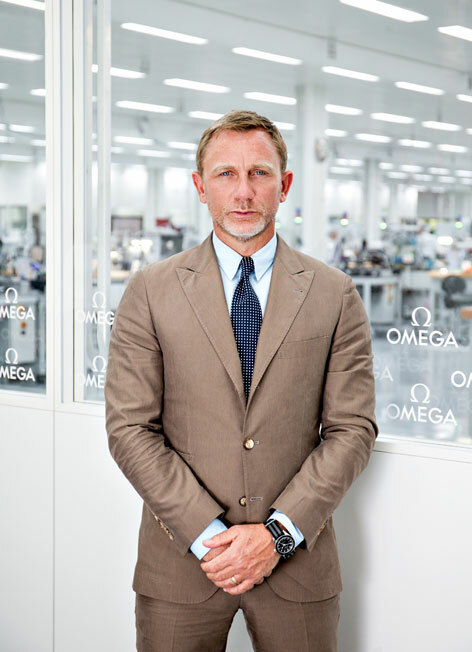 Daniel Craig has made a special visit to the heart of the Swiss watchmaking industry for the inauguration of the Omega factory in Villeret, Switzerland. The actor who reprises his role as James Bond in SPECTRE, the 24th Bond adventure, was given a guided tour, as well as exclusive access to the factory’s assembly line. During the visit he was also shown production of the new Omega Seamaster 300 “SPECTRE” Limited Edition. Nick Hayek, Swatch Group CEO with Daniel Craig. 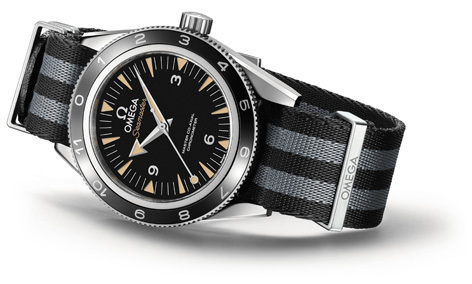 The Seamaster has been James Bond's watch since GoldenEye (1995), with its naval history and classic style, the watch perfectly reflects Bond’s character. 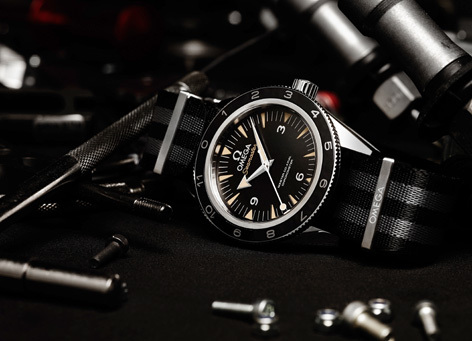 Now, in celebration of the new movie, fans and watch collectors will be able to buy the model worn by 007 in SPECTRE, as the Omega Seamaster 300 will go on sale as a limited edition. The release marks a first for the partnership; until now, only commemorative editions have been used to celebrate Omega's link with the franchise. The watch features a bi-directional, rotating diving bezel, made from black, polished ceramic, combined with a LiquidMetal® 12 hour scale, so that time can be kept with any country in the world. Other unique features include the "lollipop" central seconds hands, as well as the 5-stripe black and grey NATO strap. On the bracelet's strap holder, the 007 gun logo has been engraved. Each watch has its own unique serial number engraved on the back along with the SPECTRE film logo, celebrating the latest on-screen adventure. Inside, the watch is driven by the highly innovative Omega Master Co-Axial calibre 8400, a revolutionary movement in its own right. This special timepiece will be limited to just 7,007 pieces. 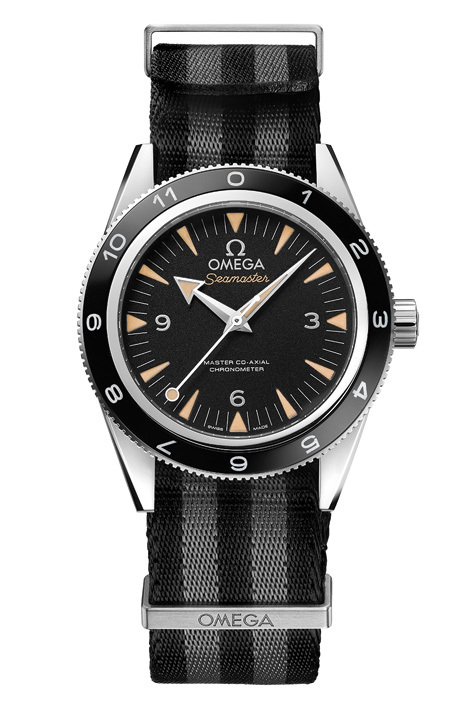 The limited edition Seamaster 300 is available at select Omega boutiques and retailers in September. In the UK you can find it at Ernest Jones Jewellers for £4785. Pre-ordered one of these this morning, cannot wait! Does anyone know if Omega is selling the strap separately? Apparently so, it depends what you want though. Omega have started their own line of NATO straps and the black and grey option is available, I believe the price to be £140. You can view them on Omega's website and any Omega dealership will be able to acquire them for you. This particular NATO however features the 007 logo engraved on one of the keepers, I am not 100% sure if this is available to purchase separately but a recent conversation with an Omega AD led me to believe that it is. I hope this is helpful. They are definitely selling the Nato straps separately, id be surprised though if you could get one with the 007 logo that the Limited Edition comes with. Thank you all for your helpful responses! Does anybody know what suit he's wearing? Tom Ford or maybe a Brunello?